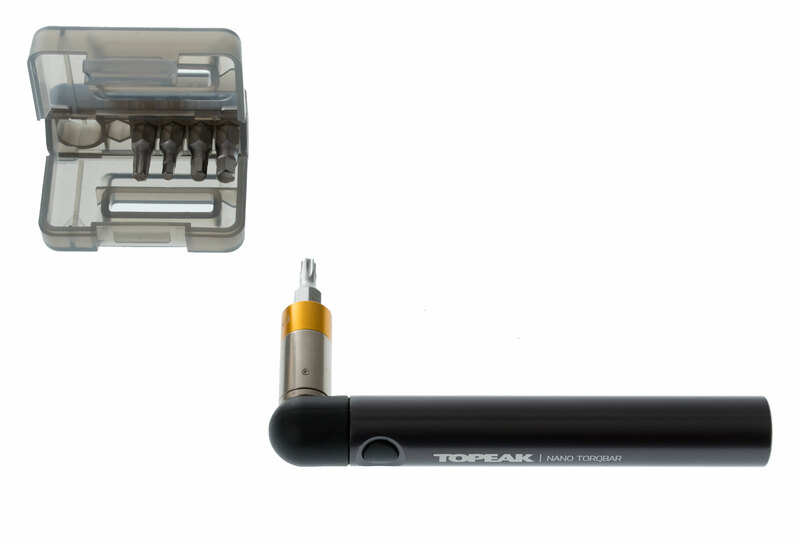 The Nano TorqBar is the slimmest and most compact preset torque wrench available, but don’t let its size deceive you. It is a precision-crafted, high quality tool for either the home mechanic, professional bike shop, or your own jersey pocket. Today’s high-tech carbon fiber frames, components and electronic shifting requires exact torque specifications for operational safety and performance and the Nano TorqBar delivers what you need. 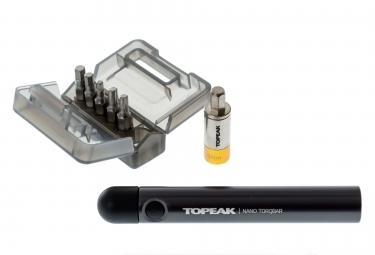 Includes the 5 most popular tool bits, 3/4/5mm hex & T20/T25 Torx. Two of your favorite bits can be carried in the handle of the Nano TorqBar for immediate use and even greater portability during rides.